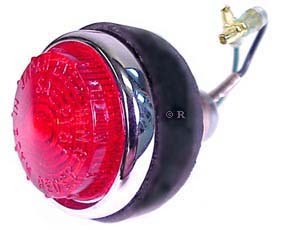 Datsun Roadster Parts from Rallye Enterprises, Ltd.
1969 REAR SIDEMARKER LAMP . #261-13 (right). Only the right rear is still available in a new part. The difference between the left and the right is the angle cut on the rubber gasket. Datsun SPL310 SPL311 SRL311 Parts from Rallye Enterprises, Ltd.